Welcome to the second piece of "Time-Travel Thursday With Time Trap". expedition to China, and afterwards worked on a secret Government project in an underground lab at theBritish Museum. He vanished suddenly, and was never heard from again. REMEMBER, ONCE YOU COMPLETE THE TRAIL AND EMAIL RICHARD THE CORRECT ANSWERS, HE WILL DOWNLOAD TO YOU THE PERSONALIZED CERTIFICATE! Can You Find Farringdon Road On The Map? Did You Get This Book Yet? "Highly Entertaining for children and adults! My Daughter & I love the time we get to spend together reading this!" 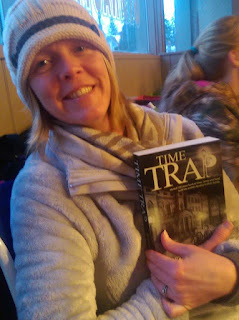 "Richard Smith has in Time Trap, a very polished debut novel. 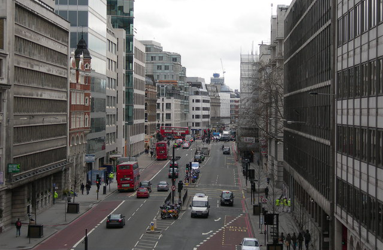 The research undertaken is evident throughout; the fog-laden city of London, the characters found therein and the localised speech patterns used. 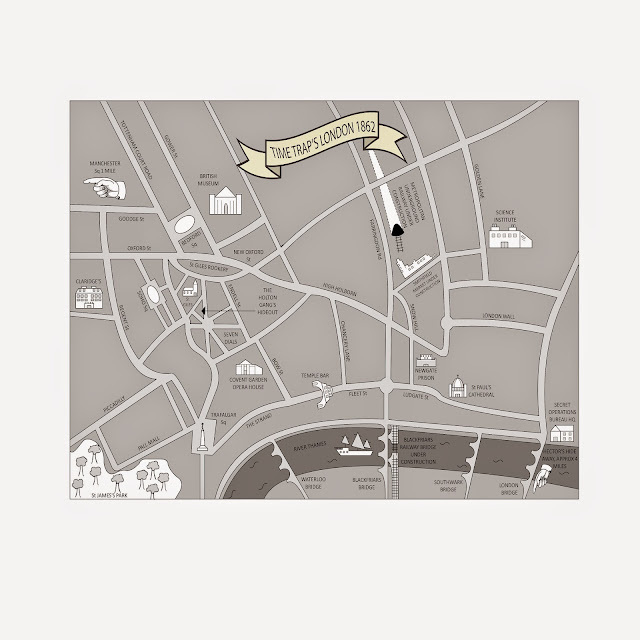 Although targeted for the 10-12 year old range...the book does show appeal for older readers." 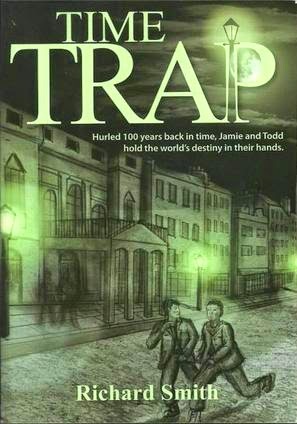 "Time Trap is one of those books that keeps you thinking all the way through. It has an intriguing plot which stretches over two time frames and author Richard Smith does an excellent job of capturing the atmosphere of both eras." OK, I rarely use the WOW word but Time Trap is one of those rare occasions and it gets it for the intrigue factor. The book is very well written and a delightful read, but the plot and the inclusion of London landmarks linked to a code make it one of the most engaging books I have read this year. Children will absolutely love it. "I thought Time Trap was an absolutely riproaring adventure, full of fun and danger. The plot rushes along and poor Jamie and Todd barely get their breath back from one crisis before they are plunged headlong into another." "Victorian London is beautifully evoked. It rises from the pages in all its danger, smoke and disease, but also in its energy and sense of progress. There is a great deal of detail, all accurately researched and readers will learn a lot about this period."